October 2, 2018 – ORLANDO, FL, CCA Annual Convention– Minnesota-based technology solutions provider Telsasoft is pleased to announce that Nex-Tech Wireless is adding IMS Core Performance Monitoring to their existing suite of Telsasoft products. Nex-Tech Wireless utilizes Telsasoft’s performance monitoring, alarm management, and trouble ticketing solutions to ensure network and customer reliability. For over 20 years, Telsasoft has provided superior telecommunications service assurance tools to wireless companies worldwide. As companies like Nex-Tech Wireless move to the next generation technologies, Telsasoft keeps pace to provide the tools to scale alongside wireless carriers. “We’re excited to extend our partnership with Nex-Tech Wireless, an innovative provider with unsurpassed technology,” commented Roger Schmitz, CEO, Telsasoft. “By adding Telsasoft’s IMS Core Performance Monitoring feature, Nex-Tech Wireless has seamless insight into their network to proactively identify network issues. Our goal is to ensure cost savings and operational efficiencies so wireless carriers can focus on serving their customers,” he continued. Telsasoft is a privately-held company with headquarters in Minneapolis, Minnesota. Established in 1996, Telsasoft has a 22-year record of providing telecommunications service assurance tools to support and enhance network performance and management. Combining years of cellular expertise with customer feedback, Telsasoft’s solutions and operational software are designed to scale with businesses as their processes and network become increasingly complex. Nex-Tech Wireless, owned by Nex-Tech Inc./Rural Telephone, Golden Belt Telephone and Tri-County Telephone is a premiere wireless provider offering high-tech wireless solutions to residents in over 40 counties of central and western Kansas as well as local coverage to 4 counties in Colorado. 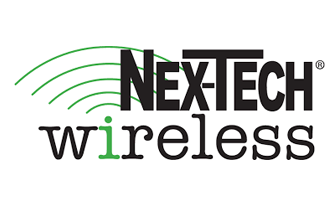 Nex-Tech Wireless focuses on providing its customers cutting edge technology including data and mobile series, as well as the latest wireless equipment and competitive wireless plans that provide nationwide coverage. For more information, visit www.nex-techwireless.com.